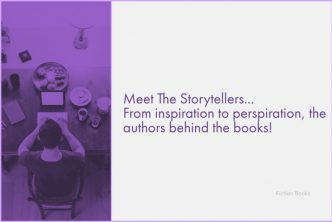 A real spine-chilling title with which to approach the last few Blog Tours as 2018 draws to a thrilling close. 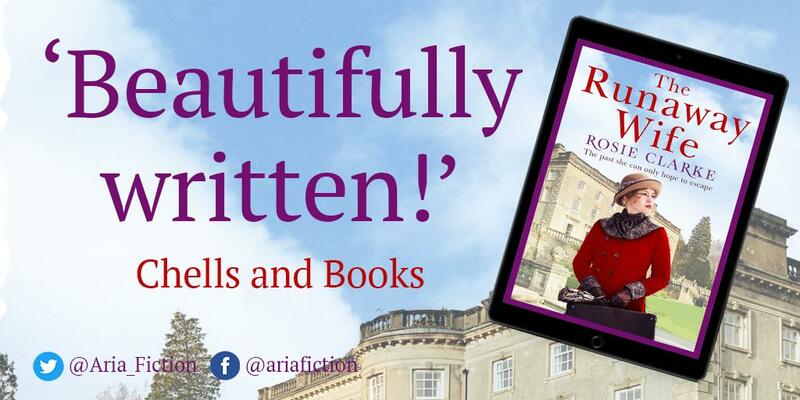 Thanks to the folks at Aria Fiction and NetGalley for their continued support for Fiction Books and here’s to more of the same in 2019. So when four women are discovered dead, seemingly by their own hand, Marzio can sense that something isn’t right. Fighting against his police chief, his own emotions and the evidence stacked against him, Marzio is caught up in a race against time to discover what truly happened. 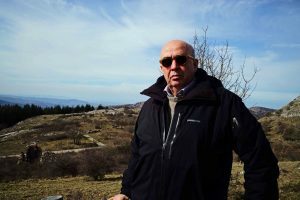 Franco Marks is a writer and television director who lives and works in Rome. He has written many novels, which have been translated in several countries. On his Vespa, White Wolf climbed the steep road. Emitting polluting gases and stale alcohol fumes, he shifted the gears, the control slick with grease, down from fourth to third and from third to second. The cold wind blew hard in his face. He’d taken his fair share of slaps since he was little, but these handfuls of ice, delivered with a hard rock rhythm, were the most beautiful of them all. White Wolf, born in a basket of the north wind with hoarfrost in his blood, had eaten his share of snow. He’d ravished his fair share of snow too, though always with respect, like when as a child he’d put his boots into the footprints that were already there so as not to spoil it. He was missing it now. It had been at least a hundred years since there’d been a February as weird as this in Valdiluce. At night it was three degrees below zero and by day it was twenty above. On the road lay a sheet of ice that looked as if it were snow. He pushed the Vespa as hard as it would go. He crossed the bridge, where the fog was caged in like a bale of cotton. He’d spent his life on those hairpin bends, often on foot, with newspapers tucked under his shirt to protect himself from the wind. Blue eyes, loose blonde hair, a red kerchief around his neck, a rough sweater, corduroy trousers. White Wolf drove with bare hands. Strong, safe, experienced. He would have inspired trust in anyone: a child, a woman, an old man. Used as they were to working an axe, climbing, skiing, moving mountains, those same hands could also become dangerous weapons. There was something athletic, something natural about the way he looked. He’d had many women – all fleeting, temporary relationships. But a few days ago he had met Elisabetta, and there had been the beginnings of love. An intimacy that was unusual for White Wolf, used as he’d been since childhood to holding in his feelings. Elisa, his sad natured mother, had spent a life in her slippers, hanging around the stove and the church. Alfonso, his father, was always chopping wood. A solitary man with a cigar sticking out of his moustache. In that Prussian existence with its iron rules, there had never been a moment of relaxation, of warmth. Elisabetta had melted him like hot chocolate. With her he could immerse himself, spread himself, offer himself up. While he drove forward on the Vespa, he went over the fragments of a few hours earlier in his mind. Elisabetta naked, as white as the mountain snow. Her thighs, her pelvis, her lips in sticky flights of fancy. Her hair spread out on her hands or on her cheeks or on the pillow. Peeping out from half closed eyes. A memory that dangled in his mind like some knick-knack hanging from the handlebars of the Vespa. Elisabetta would be leaving soon by bus to return to her town, Vissone on the Sea. Her winter holiday was over. A breath of sadness, but it wouldn’t be a goodbye kiss: they had pledged to see each other again. White Wolf hunched over recklessly; third, second, first. The engine roared, shattering the silence of those lonely bends paved with ancient stones. The sun had taken off its balaclava and slivers of light entered the forest as if through a half open shutter. Dik, Osvaldo’s Irish setter, emerged from the undergrowth and ran alongside the road for some way, his coat tawny in the wind, racing the scooter. Daringly, he slipped into the woods and disappeared. White Wolf passed the church. Don Sergio was standing at the door, illuminated by candles like a saint. A large priest, with a beard so long it touched the ground. He was welcoming those of the guests at the hotel who were among the faithful to the first mass, to commend themselves to the Lord. On the way to the square, a group of skiers with yellow, red and white boots wandered through the mud, enraged wild boar awaiting the weather forecast. Sun, sun, sun, that would melt the snow the snow cannons had blown out during the night. The only happy ones were four young women, all of them married: Elisabetta – White Wolf’s ‘beginnings of love’ – and her friends Flaminia, Angela and Stefania. They’d won a stay at the Il Bucaneve holiday apartment complex in Valdiluce. A week spent sunbathing in bikinis on the Bucaneve’s terraces, being courted by the locals and drinking raspberry syrup. Better than a vacation in Miami. Third, second, first, a touch of the brake, throttle. White Wolf skimmed past the doctor’s surgery. The medical officer Ugo Lanzetti had hung his latest paintings out to dry, a sequence of snow covered panoramas that rocked like slides in the wind. In the square, the bus looked like a blue caterpillar. Mentina, the driver, was sucking a sweet, perhaps to hide the odour of the Ginpin – the local liquor – he’d drunk. The engine was running and the exhaust pipe exhaled a grey cloud. There were only a few minutes left before it was due to depart. Inside the bus, framedlike paintings by the windows, were the faces of Marietta, the teacher who taught at Rocalta, a village six kilometres away, Francesca, the caretaker of the technical institute in Valstura, Giuseppe, a commuter who worked at the factory, and the terrible Morena, with her restless hair and scythe-like eyes, who was a nurse at Vicosauro hospital. Sly as cats in a cage, they weighed up the facts to try and conjure a bit of gossip into existence. 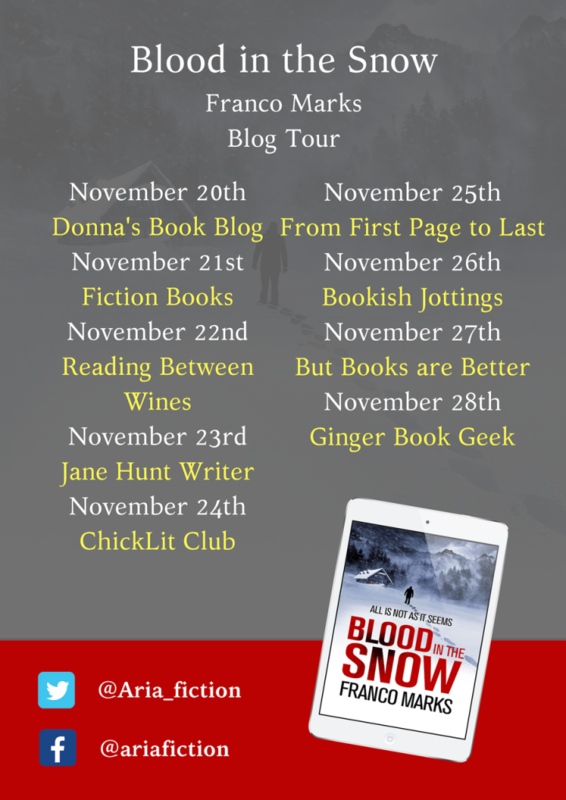 A title like Blood in the Snow will always attract me… I must be bloodthirsty or something! LOL But seriously, I do love a wintery, mountainous setting in books, especially crime stories, so will keep an eye out for this one. I can totally relate to the bloodthirsty tag! 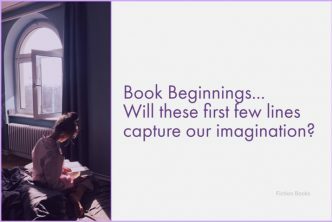 … A short, punchy book title will always grab my attention, unless of course we are talking crime story rather than pure thriller, when the more intriguing the title, the better! Hmm! Not sure if this is one for me as I suspect with cliches like ‘Elisabetta had melted him like hot chocolate’ I might find it a bit, well, cheesey. Then again, find me in the right mood and i love cheesey. I have to agree that some of the cliched lines were a little cheesey, for what is billed as a gripping and shocking thriller. However, the excerpt is taken from the first chapter of the book, which I guess is setting the scene for the story to come, so we have yet to establish if Elisabetta is about to become one of the four murder victims, or might she turn out to be the murderer? I am assuming, from reading the premise, that ‘White Wolf’ is indeed our main protagonist, Marzio Santoni, given the references to the vespa in both extracts. As Kelly comments, the jury is very much out on this storyline until I actually read the book for myself. It’s a different setting than I normally read, so that makes it appealing. Like Tracy, I’m not so sure about the writing style, but the plot piques my interest. In other words… the jury is out, so I hope you’ll have some more features on it in the future! I really like the sound of the setting for this story, just the place for a mass suicide – or murder? On the other hand, I am not so sure about the character of Marzio. It sounds as though he comes with plenty of ‘baggage’ and I want to measure his style and standards of policing, by reading the book for myself. In all fairness, the ratings and reviews for the book, have been very mixed to date, with much of the criticism being levelled at the translation for the rather ‘loose’ style of narrative. 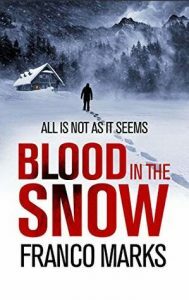 Blood In The Snow sounds good and seems like there’s a romance in the mix too so I’m all for that. thanks for sharing the snippet! Mmm! It sounds as though there is romance in the air, but I wonder if Elisabetta is about to become one of the murder victims, especially as it says in the extract that she has won a holiday at the resort for herself and three friends – and we know from the premise that four women are found dead – even though suicide is suspected as a potential motive! It would be a shame if White Wolf’s possible romance is ended quite so quickly and in such a dramatic fashion!